Since 1992 the Tentwares Accessory Catalog has been the best source for Tent Lighting & Tent Rental accessories. Our mission has been to find & invent items that will save your business time, labor & money. 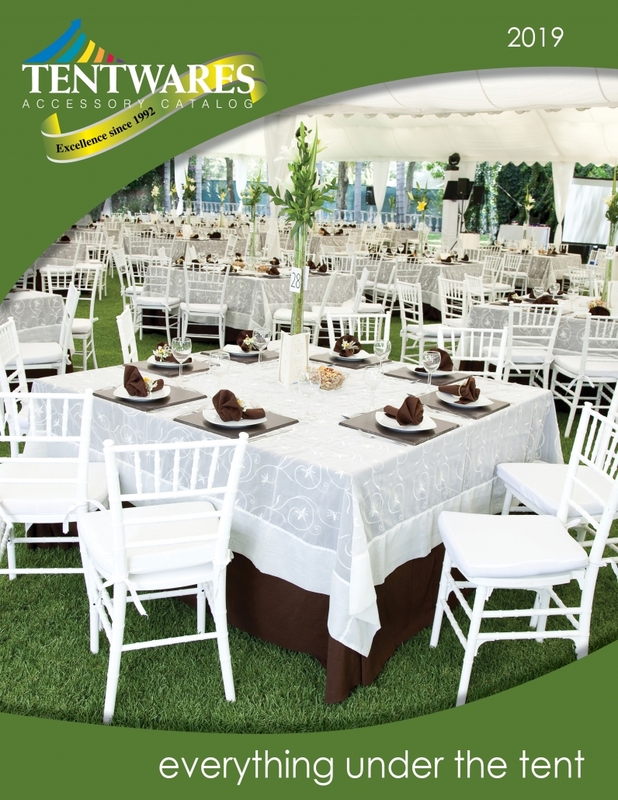 We understand the urgency of the Tent & Party Rental business and process & ship your orders promptly. Browse our catalog items by either placing your mouse on the catalog items menu or click on browse catalog to see a flip book of our items. Party & Rental companies can request our password to access our online catalog complete with pricing. Request our password to access the 2019 Tentwares Catalog online or request a printed catalog. We believe in customer service and make sure you get exactly what you need. Call us and speak to a specialist that can assist you in growing your business. SIGN IN with the password for the Tentwares Catalog! REQUEST the password and the Tentwares Accessory Catalog!